Prospect is a global talent resource consultancy within the PR and corporate communications sector with offices in London, Hong Kong and Singapore. In Asia Pacific, we are unique in our specialisation of matching mid to senior level PR & Communications talent to global PR & PA consultancies and MNC’s. Our deep knowledge of the region helps us understand the hiring challenges our clients face, making us the region’s agency of choice. We work very closely with global firms and PR consultancies across a variety of sectors including banking, healthcare, professional services, retail, consumer and technology. From internal communications, integrated marketing communications, government and media relations through to corporate affairs, CSR and digital, we have the knowledge and capabilities required to advise clients on sourcing the best talent and candidates on how to progress their careers. We also work with industry leaders and publications to offer our perspective on hiring and retaining talent. YouGov is an international, full service market research agency. YouGov’s omnibus service interviews a representative sample of adult’s (aged 18+) within the online population in 16 countries across the Middle East, North Africa and South Asia twice a week using our market-leading Omnibus online research service. Omnibus is a fast and cost-effective tool that allows clients to purchase research by the question – an ideal way to capture public opinion in just one week on a small budget, without compromising on data quality. 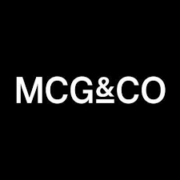 MCG&Co is a contingency and executive search recruitment business with offices in Europe, The Middle East and Asia. We connect businesses and brands with the best communications, digital & tech talent from across the world. We operate with absolute honesty and integrity—two of our key founding principles of the agency. These traits combined with our energy, enthusiasm and unrivalled market knowledge, has earned us a reputation for professionalism and delivery at the highest level. By employing a balanced mix of intellect and instinct, we spot talent and transferable skills, opening the door to opportunities that would otherwise go unnoticed.